With the high consumer anticipation of Intel’s GEN 6 NUC, Patriot sought to fulfill customer needs for reliable and affordable memory in a NUC. Patriot, a long time, leading manufacturer of computer memory has announced the qualification of their 4GB and 8GB DDR4 2133MHz SODIMMs for compatibility with Intel’s® latest GEN 6 i3 NUC (Next Unit of Computing) and GEN 6 i5 NUC. 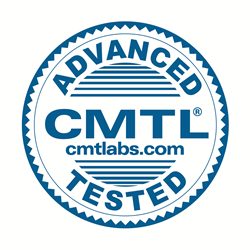 The qualification of Patriot’s 4GB and 8GB SODIMMs was completed by CMTL, an independent compatibility testing lab used by Intel to qualify memory for their motherboards and platforms. Each DIMM submitted by Patriot was put through rigorous physical and environmental testing in order to be qualified as compatible with Intel’s GEN 6 NUC, mini PC. Both the i3 and i5 models of the Intel GEN 6 NUCs have a maximum capacity of 32GB between its two DIMM slots and up to 2133MHz making Patriot a first rate option for a computer memory solution. Patriot’s Signature Line DDR4 4GB (PSD44G213381S) and 8GB (PSD48G21332S) 2133MHz SODIMMs both have a CAS 15 latency for minimal delay and optimal computing time. Backed by a lifetime warranty, Patriot certifies each component in its modules delivering top of the line performance at a budget friendly price making Patriot the perfect option for any system upgrade.